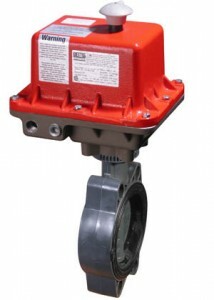 The FE Series offers an all PVC constructed body with EPDM seat, making this valve the perfect choice for water and light industrial applications. 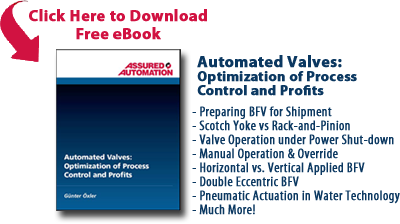 Assured Automation’s FE Series Butterfly Valves have been used successfully in many industrial systems, including industrial process piping, wastewater, high purity as well as plumbing and mechanical pipe systems. Shown here, the FE is equipped with an explosion proof electric actuator. This entry was posted in Latest News and tagged Actuated Butterfly Valves, Butterfly Valves, Electric Actuators, FE Series, PVC Valves. Bookmark the permalink.